Most of us today at some time or another feel anxious or stressed. You may be looking for a to deal with it, whether that’s diet, exercise or lifestyle. While other approaches do work fine, one of the lesser known yet effective ways to handle it is to have some houseplants around. Having indoor plants can not just purify and detoxify the air in your home, but also improve the mental health of everyone residing in it. 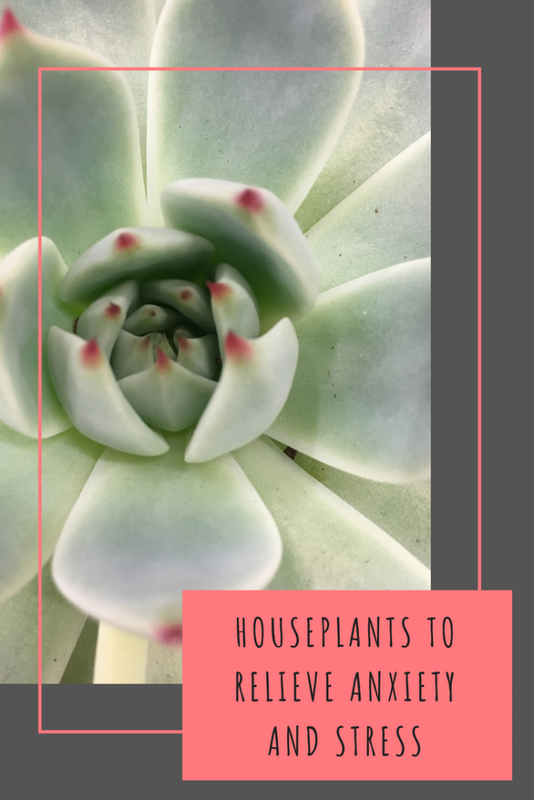 Keep reading to discover some of the best houseplants that are the most effective when it comes to reducing stress and anxiety. If you’re one of those who face constant fatigue and stress, succulents are one of the best plants to have around. Not only do they look extremely beautiful and appealing, but they are also super easy to handle, and may even help reduce the occurrence of fever, flu and coughs. Get some for your desk and other corners of your home. Fiddle leaf fig is another great choice if you’re looking for houseplants that relieve stress and anxiety. It helps increase your own levels of positivity and can get you to think more pleasant thoughts. They may require a teeny bit more care than other houseplants, but every effort that you put into growing them is totally worth it. You probably guessed this one was coming, lavender is undoubtedly one of the best houseplants to have in your home if you’re looking to tackle stress and anxiety. Its scent has been found to effectively reduce heart rate and reduce blood pressure among offering other benefits for your health. Apart from being used as medicine and food, the bamboo plant is also a great source of positivity and happiness. This plant can easily survive in indirect sunlight too which makes them a great choice for an indoor plant. Infact, it is also belived that having this plant in your bedroom can help you get a good night’s sleep. The spider plant is particularly effective in removing carbon monoxide from the air, which in turn, boosts the oxygen levels in your home and can help reduce anxiety and stress. Plus, it is super easy to grow and during the summer, it even produces tiny flowers. The rosemary plant is super effective when it comes to improving air quality, and is therefore, also extremely effective in lowering the stress levels in your home. You could also experience better memory function, reduced anxiety and overall mental health by having this plant around. Valerian is another great plant that is super effective when it comes to reducing stress and anxiety levels. It has also been found to help stabilise your heart rate, and can get you to fall asleep faster. You’ll need to have it potted in an area that has good exposure to morning sun though, and make sure that the soil you use is well-drained. Apart from these, you could also consider having aloe vera and peace lily in your home, they are excellent anti-anxiety plants that grow with little maintenance. Wow! I never knew this. What a simple suggestion that could really help a lot! Lavender is always a good idea. The esters in the oil are relaxing which is why lavender pillows can be popular as well as the essential oil on a pillow at night. Fantastic post. I knew having plants in the home had positive benefits but did not know what exact benefits or what plants to have. My partner suffers from extreme anxiety so will give some of these plants a try, thank you. I love having plants around the house, I have a mix of real and fake though as some of the plants are toxic for cats!